Our lapel pins are perfectly priced to hand out during religious gatherings and sacramental celebrations. 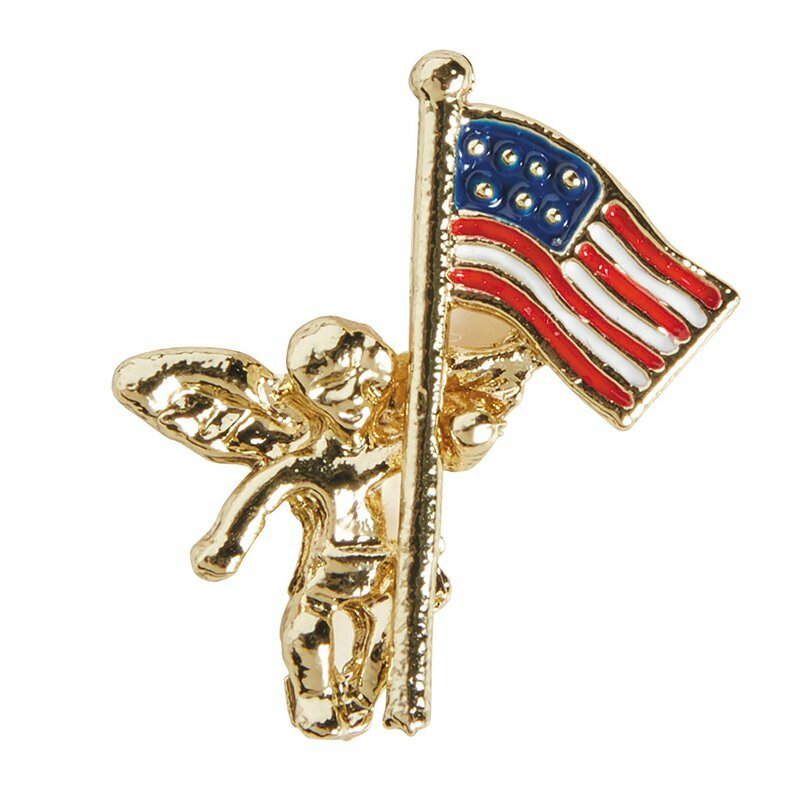 The Angel with US Flag pin contains full-color enamel and a clutch back for secure placement. Sold in quantities of 25 per pack.